Studies have shown that the major reason potential customers fail to make a purchase is due to failure of the salesperson to show a sincere interest in the customer. Lack of interest by a salesperson can be obvious in many ways. For example, lack of sincerity in the greeting, failure to inquire about the prospect’s needs, failure to point out benefits, and failure to explain product features all point to a lack of interest. 1) The opening which includes instant relationship building. 2) Uncovering the customer’s needs. 3) Supporting the customer’s needs with personalized features and benefits. 4) Winning the customers confidence to the point of closing the sale. Within these four broader stages, consider these 13 detailed steps, from greeting to close, that all top performing sales people must be able to execute. Do your salespeople possess the sales skills and knowledge to perform these sales steps successfully to maximize revenue? Does your training program focus on improving performance in these areas? Your preparation, continued learning, practice, and product knowledge are essential to successful results. Very early in the sales process, you need to qualify the person with whom you are speaking to confirm that he or she is the decision maker. If you want to sell more, make them feel like your friend. The bottom line is that people prefer to buy from people they like. They prefer to buy from someone they trust and believe care about their best interests. The most important sales function is to learn how to ask the right questions. 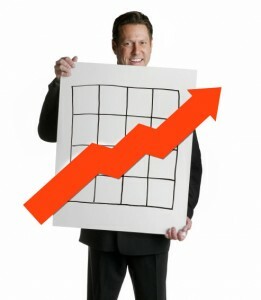 A good salesperson uncovers the prospect’s real needs and is capable of focused listening. Would you buy a product or service if you lacked confidence in the salesperson or company? Of course not. Likewise, you cannot expect to make a sale if you cannot build confidence with a prospect. Don’t confuse features with benefits. Benefits motivate people to buy because they appeal to their emotions. Features describe the nut and bolts of the product or service. Professional salespeople know the difference as well as how and when to talk features to a prospect. What is the real reason a person is not ready to buy now? To close more sales, the professional’s job is to uncover the real reason with targeted questions. After offering a solution to the prospects objection, do not move the sale process forward until you have confirmed he or she is satisfactorily convinced the objection raised is no longer a concern in the their mind. An important part of any successful salesperson’s job is to be prepared to prevent common objections by voluntarily answering them satisfactorily in the prospects mind before they become a barrier to buying. One of the most effective ways to accomplish this is to voluntarily give examples of previously stated common concerns along with the solutions. Throughout the sales steps, listen to the prospects dialogue for common buy signals. When you realize most sales are not made on the first contact, following up becomes a critical component to closing success. Persistence equals success. Follow-up calls give you valuable opportunities to strengthen relationships, review product benefits and features, and clarify information. Successful sales skills can be learned. Study, practice, and place into action these 13 sales steps and watch your revenue grow. This entry was posted in Marketing and Sales, Recent Articles, Sales Training. Bookmark the permalink.